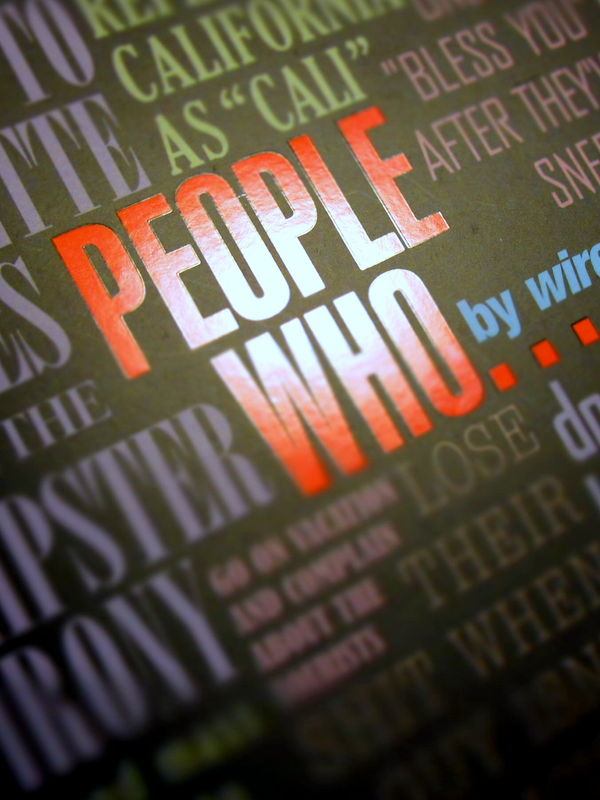 wireless G is a frustrated anthropologist who enjoys ranting against the perceived transgressions of friends, family, and passing strangers. He is the author of the award-winning PEOPLE WHO blog and has written for popular sites including Dealbreakers and I Love Charts. In this instantly relatable and hilariously true compendium of clever one-liners, a frustrated anthropologist identifies all the people who confound him with their continued, persistent existence. Whether it’s the people who listen to cassette tapes for the hipster irony or the people who decide they need a new ringtone while riding the subway, People Who. . . is a laugh-out-loud look at those banes to our existence, and will have you nodding your head in agreement at the turn of every page. 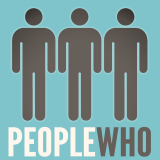 PEOPLE WHO... is the end result of my heart-warming personal journey through pain and discovery, loss and redemption, giggles and shits. I will now recount said journey in painstaking detai— oh wait, the pizza’s here. Maybe later.